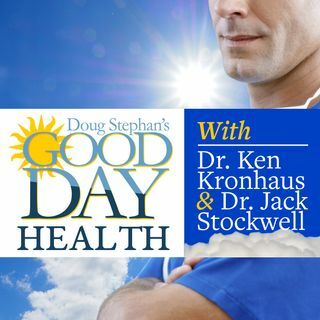 Dr. Ken Kronhaus explains to host Doug Stephan the differences between the many types of doctors. Did you know there are new guidelines for diagnosing Type 2 Diabetes? Next we learn yet another new drawback to being a heavy drinker. Can you guess what is the most expensive age to be alive? New studies show that Tylenol can be just as effective as Opioids at relieving pain. Dr. Ken reveals a new way to predict your risk of getting Cancer. Learn what Super Bugs are and how to beat them. Did you ... See More know that babies that resemble the fathers, at age one, tend to be healthier? Finally, learn about the impacts of vaccinating your infants.